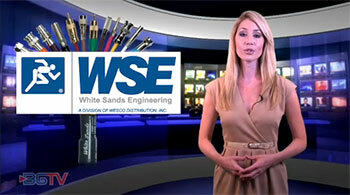 White Sands Engineering is one of the largest manufacturers of custom coaxial cable assemblies in the United States. White Sands, provides cable assemblies, connectors, cables and tools for communication networks, as well as custom connectivity products for OEM and defense customers. Our broad product offering ranges from basic CATV jumpers and complex, custom-designed wiring harnesses, to self-install kits and 75 ohm, mini RG59 connectors. White Sands will work with individual customers to recommend, design and manufacture connectivity products for their unique application. White Sand’s commitment to quality manufacturing coupled with our high-volume, quick turn production capability gives White Sands Engineering an advantage in delivering custom solutions.